1. What are the main changes when Tisha B’Av falls on Shabbat or Sunday? When Tisha B’Av falls on Shabbat, the main changes are: The fast is postponed until Sunday. Bathing is permitted on Rosh Chodesh. Marital relations are forbidden on Friday night. Washing any part of the body with hot water is forbidden on Shabbat. When Tisha B’Av falls on Shabbat or Sunday, the main changes are: There is no special Seuda Hamafseket before the fast. Some of the laws of Tisha B’Av begin only at nightfall on Saturday night, instead of at sunset. Havdalah is postponed until Sunday night. 2. When Tisha B’Av falls on Shabbat and is postponed until Sunday, is the preceding week considered as “the week in which Tisha B’Av occurs”? There are different opinions about this. Therefore: One should be strict about this concerning laundering and haircuts. One may be lenient about matters concerning cutting nails and making clothes. As for meat and wine, Sefardim could eat without restriction; for Ashkenazim certain leniencies apply (for example, regarding who can eat meat at a Bris). 3. May a woman immerse in a mikveh on Friday night that is Tisha B’Av? Yes. In this case, marital relations are permitted. 4. Are there any changes to the prayers in this situation? Tzidkas’cha is not said at Mincha. Pirkei Avot is not said at Mincha. 5. May one hold a public kiddush on this Shabbat? If the kiddush can be held on a different Shabbat, it is preferable to defer it. If the kiddush cannot be held on a different Shabbat — e.g. for an aufruff (groom prior to his wedding), it is permitted. 6. May one eat meat and drink wine at the Shabbat meals? Yes. This is permitted even at Seuda Shlishit. 7. May one invite guests to the Shabbat meals? Yes. However, one should not invite guests for Seuda Shlishit unless he does so regularly. 8. May one sing zemirot at the Shabbat meals? Yes. This is permitted even at Seuda Shlishit. 9. May one go for a stroll on this Shabbat? When the ninth of Av is Sunday, one may not go for a stroll on Shabbat after halachic noon. When the ninth of Av is Shabbat, one may not go for a stroll at any time of the day. 10. May one visit family or friends? No. 11. 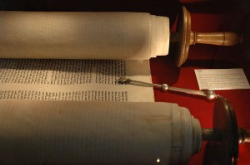 May one learn Torah on this Shabbat? Before halachic midday, it is permitted to learn Torah. After halachic midday, many opinions permit learning Torah. If a person can limit himself to the topics that are permitted on Tisha B’Av, it is praiseworthy. It is permitted to read the weekly parsha and its translation all day. 12. May one take pills on Shabbat to alleviate the pains of fasting? It is permitted to take them on Shabbat until sunset only if they are mixed with a food or drink. One should preferably prepare the mixture before Shabbat. One may take them without water even on Saturday night, unless they are pleasant tasting. 13. May a communal Seuda Shlishit be held in shul? No. Everyone should eat at home. 14. Are there any changes to Seuda Shlishit? Although any food may be served, including meat and wine, and zemirot may be sung, the mood should be somewhat subdued. A person should not say that he is eating in order to have strength to fast, but he may think this. One must stop eating and drinking before sunset, since the fast begins at this time. People should be reminded about this, as it is unlike a regular Shabbat. 15. Must one say Grace After Meals before sunset? It is permitted to say the Grace after sunset, but one should try to wash mayim acharonim (after waters) before sunset, if possible. 16. May one say Grace After Meals with a 3-man zimun? Yes (unlike when the eve of Tisha B’Av falls on a regular weekday, where one should not make a zimun). 17. May one eat or drink after Seuda Shlishit? If one said Grace After Meals before sunset, one may eat or drink until sunset. It is not necessary to have this in mind when saying Grace After Meals. 18. Which prohibitions of Tisha B’Av commence at sunset? All the prohibitions except wearing shoes and sitting on a chair commence at sunset. These two activities are permitted until nightfall. 19. When should one change one’s shoes and Shabbat clothes? There are two customs: Some go to shul before nightfall and begin Ma’ariv at the usual time of Saturday night. The chazzan should say “baruch hamavdil bein kodesh lechol,” remove his shoes, and then say “barchu.” The congregation should respond to “barchu” and then remove their shoes. Care must be taken not to touch one’s shoes when removing them. The Shabbat clothes are not removed until one returns home after Ma’ariv. This is the prevalent custom in the Diaspora. Some shuls delay the commencement of Ma’ariv, allowing people to remain at home until nightfall. At the time of nightfall, everyone should say the phrase “baruch hamavdil bein kodesh lechol,” remove his shoes, and change into weekday clothes before Ma’ariv. This is the prevalent custom in Israel. 20. According to the first custom, may one bring Tisha B’Av footwear to shul before Ma’ariv? Even if there is an eiruv this is forbidden, since one may not prepare on Shabbat for after Shabbat. It is also forbidden to change one’s shoes before going to shul, since this is disgracing the Shabbat. It is therefore advisable to leave suitable footwear in shul before Shabbat to wear after Shabbat. 21. Is the blessing recited over the spices? No. It is forbidden to smell spices, since a person must refrain from such a pleasure on Tisha B’Av. 22. Is the blessing recited over a Havdalah candle? Yes. According to one custom, it is recited in shul before the reading of Lamentations. According to another custom, it is recited at home before Ma’ariv, if there is time. According to some opinions, the blessing should be recited over two regular candles and not over a braided Havdalah candle. 23. May one wash the Shabbat dishes on Saturday night? No. They may not be washed until Tisha B’Av afternoon. 24. Should a person who is not fasting recite Havdalah before eating? Yes. However, if he only needs to drink water throughout the fast, he should not recite Havdalah. 25. Should such a person recite Havdalah immediately after Shabbat. or wait until he needs to eat? He should wait until he needs to eat. 26. When needing to eat on the fast day [in this case, Sunday the 10th of Av], which sections of Havdalah are recited? The introductory verses and the blessing over spices should be omitted. The blessing over a candle should be omitted if he already recited or heard it at the termination of Shabbat, or if he is reciting Havdalah during the day. 27. Should Havdalah be recited over wine, grape juice, or another drink? According to most opinions, beer is the most preferred drink. If this is not possible, some opinions prefer the use of a drink that has national importance. (A rabbi should be consulted to ascertain which drinks qualify for this purpose.) Other opinions question the use of such drinks, and prefer the use of grape juice. If nothing else is available, wine may be used. 28. If wine or grape juice is used, should the cup be given to a child to drink? If a child above the age of six is available, the cup should be given to him. If not, the person who recites Havdalah should drink the cup himself. 29. How much of the cup should be drunk? A cheekful only. 31. After the fast, may one eat or drink before Havdalah? With the exception of water, it is forbidden to eat or drink anything before Havdalah. 32. Which drink should be used for Havdalah? One should use wine or grape juice. The person who recites Havdalah should drink the cup himself. 33. Which parts of Havdalah are recited? Only the two blessings “borei p’ri hagafen” and “hamavdil.” The introductory verses are omitted, as are the blessings over the spices and candle. 34. When are the various restrictions lifted? Some are permitted immediately upon completion of the fast (e.g. bathing, laundry and haircuts), while others remain prohibited until the following morning (meat, wine and music).